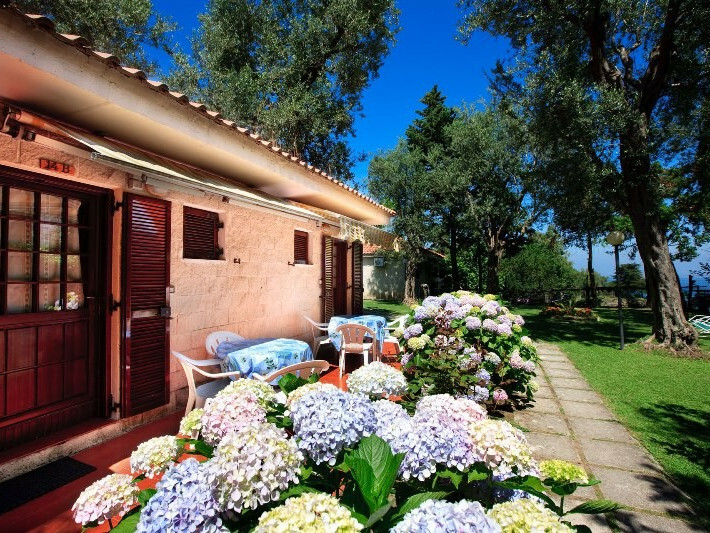 Costa Alta resort, is located on the Sorrento Coast and it is the ideal solution for an holiday in Sorrento where you can enjoy open air and nature. Thanks to the surrounding gardens and the convenient prices, it may be considered an ideal campsite; the services and the comfortable premises will not turn down your expectations. All the bungalows have a private bathroom, air conditioning, heating TV and kitchenette. At the Costa Alta, you will also find a big swimming pool with solarium, a TV room, a restaurant with bar, table tennis and billiard. From Costa Alta Resort, you can easily reach the center of Sorrento , the beaches of the peninsula and the Amalfi coast. Using public transports, you can also reach Pompei and Ercolano ruins and the city of Naples. Inside the Costa Alta tourist resort there is a restaurant with over 100 seats to serve all customers who require it. Our bungalows in the village and holiday apartments (masonry chalets) are all equipped with kitchen inside, but the management of the tourist village guarantees the opening of your own restaurant both for breakfast, lunch and dinner. The Costa Alta Village Restaurant, accessible from each apartment, offers a buffet breakfast with cereals, juices, milk, coffee, biscuits, etc. With self-service, but always with the presence and support of our waiters who can satisfy any kind of need. Our chef, knowledgeable and experienced, prepares always fresh and seasonal dishes by mixing skillfully local flavors and spices mixed with a pinch of international culture to ensure that all customers always have good and appetizing food. The Sorrento Peninsula's tourist restaurant, thanks to its location and centrality in Piano di Sorrento, is easily and optimally organized for organizing events such as lunches for groups, numerous families as well as events such as communions, baptisms and weddings .The village restaurant room also houses a television with satellite channels; So customers can enjoy the food by listening to selected music, getting to know the latest happenings, or following live sports. The restaurant faces the pool directly. On this sunny terrace you can enjoy meals cooked by our expert chef even at the pool edge, watching your children close by or enjoying the panorama offered by our semi-olimpic swimming pool. 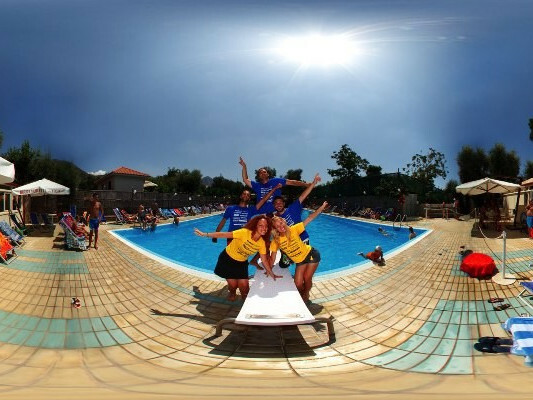 Our restaurant, our chef and our staff Camping in Sorrento, are prepared to welcome both families and groups. The Costa Alta Village Restaurant offers on-demand menus for celiacs, vegetarians and vegans. Try our restaurant during your holidays in Sorrento within our resort and you will not regret it.